Here’s a story about the truancy laws and how they affected my family. If you have read any of the stories on this blog, you will know that our minor inconveniences in no way measure up to the monumental damage that has been done to other families. But this blog is not about degrees of humiliation and suffering. 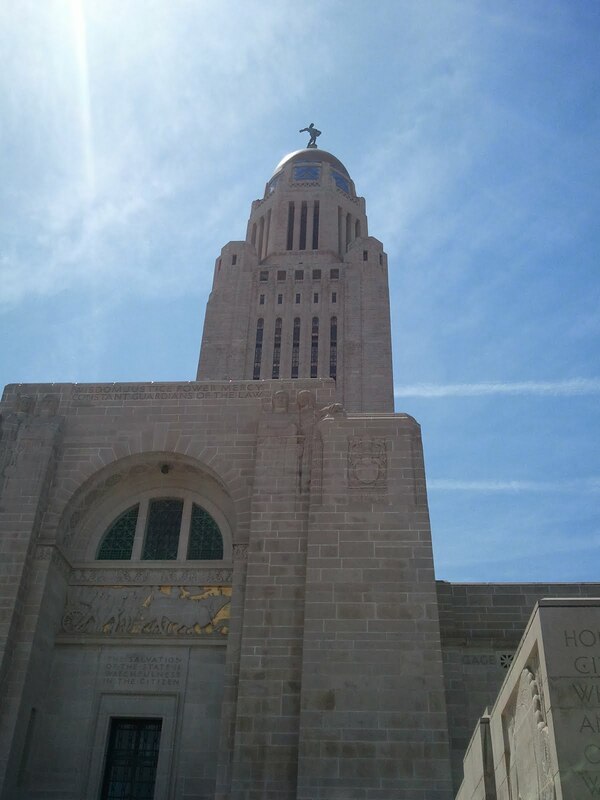 It is about the fact that seemingly sane lawmakers passed a law to "improve school attendance" that has absolutely nothing to do with the welfare and education of Nebraska’s children and their families, and everything to do with the strict bureaucratic regulation of the education industry. My children are aged 10 and 6, and have had a wonderful time in the public school system. They both began in Montessori pre-schools, have benefitted from having fun, active, and nerdy parents, and, for the most part, have been lucky in their draw of decent neighborhood schools and teachers. 2010 was our best year ever. Both teachers at Saddlebrook Elementary in West Omaha were fantastic, fostered a love of learning, were nurturing and encouraging, and all was bliss. My daughter learned and laughed her way through kindergarten, and my son enjoyed his gifted and talented program and a first-rate science club. My son tested so high in his national reading comprehension test that it might have been at 9th grade level, but the test didn’t go that high. His math scores were equally impressive, and despite being tired a lot, my daughter handled the academic demands of full-day kindergarten. We looked hopefully forward to 2011, when Saddlebrook would add on grade 5 to allow students who had siblings to remain at the same school while the new middle school is built to take pressure off the overcrowded Buffet Middle School. We felt blessed and somewhat pampered. Then we were late a few times, and some very rude comments were made to us in front of my children by some secretaries. When my son was sick again, and coughing up phlegm, I sent him to school, since they seemed to want him at school sick. One day, he was so pale, coughing his head off, and was sent to the office; the secretaries were conferring, again with him in the room. My son said he had coughed so much the night before, he had thrown up. “Then your mother made a bad decision to send you!” said the secretary. Nice. Oddly enough, my son began losing interest in school and we were hearing that he wasn’t doing his work. Then the school social worker decided to wade in. She called my ten year-old son in, and told him that for him and his little sister, last year had been “the worst year ever!” This was a huge surprise to my son, and to us, who had the opposite opinion. But of course, she was not referring to their academic success, or their learning experiences, but to their absences and tardies. Again, the social worker says to the 10 year-old: “Your sister was the most tardy child in the whole school last year, except for one other child, and “SHE HAD CANCER.” Now my son is crying, and after hearing about this nonsense, we were wondering why an adult would hold a 10 year-old responsible for his sibling’s absences. And here’s the interesting part, (no not that two school workers just happened to unload the word “cancer” which seemed beyond coincidence) the fact was that not one single person in that school the entire year called me or talked to me about these horrible absences. I was not invisible either, being in one classroom or the other almost every week volunteering, working to raise money, helping in the science club, but no one ever thought to let me know it was a terrible year. Oh, we got a letter from OPS central at 12 days’ absence, but I called and talked to them, offered up my children’s grades and test scores, and asked if they would like to hear about our in-home French language studies. No, they would not. And then the lady said something I have heard again and again since, from other people on this forum. She said “This policy isn’t targeted at you.” I was shocked. Gross! Then who was it targeted at? Was it affecting them, too? Or was this an ineffectual, badly designed policy, like an overloaded thirty-aught-six shotgun, spraying buckshot willy nilly at people up and downrange? Even back in 2010, they were identifying truancy problems, but not until this year did the state mandate that problem absentees be identified and “dealt with” early on in the year. And that is what happened at Saddlebrook. We were “dealt with,” through my ten year-old son. My husband talked to the principal, and he agreed some of the comments by his staff were out of order and promised to look into it. But of course, we realized by then, that this school was probably doing what they were told, which was to tow a hard line on absences, to pull 100% attendance (as if that were good for any student) and then they would be given their little carrots and treats, in who knows what form. Awards? Kudos? More staffing dollars? Grants? It boggles the mind. Now that I have met people who really have had cancer and been affected by LB800, I am absolutely sickened by the way this state is treating its families and attacking them at their most vulnerable point: their children. It’s disgusting in the extreme to think of children bullied by authority, being interrogated, shipped to the county attorney and treated like criminals, and all in the name of education. It smacks of totalitarianism. Wait, we are in Nebraska, right? This isn’t China. Yet. Most lawmakers that backed this bill probably think we have a thing or two to learn from China, and its mandatory 11 hour days and high suicide rates. Dave Heineman, Nebraska’s governor, has said, “If a child is not in school, he is not learning.” But let’s use our own heads for a change. How then could my children possibly blow the curve when they were nearly criminal in their absences? Believe me, I knew exactly how many hours were required by state law to make up a year’s kindergarten curriculum, and with full-time days, my daughter had that down in spades after the first several months. When she was five and tired, I let her stay home because I could. And she had a wonderful year and learned. So is that right? Are children learning when they are out of school? I suppose it depends on where they are and whom they are with. But the fact that the state equates absent children who are performing well, being conscientious about their work, and causing no trouble whatsoever, and children whose parents are negligent. And the state praises and rewards parents who are punctual and faithful to that good ol’ 18th century, punch-card, warm body in the chair, factory model of education, either because they both must work and make liberal use of before-during-and-after-care or because they don’t know there is anything better. I am lucky. I work at home, and can care for my children and teach them. And that is what I intend to do. My son is not in a gifted and talented program this year, because of a teacher who doesn’t agree that academic performance should be the measure of, well, academic performance, and because of her negative attitude towards her students, we decided we will no longer allow our son to be influenced by her. My daughter is now reading and horribly bored in class, and both she and my son are ready for some real learning challenges. I intend to provide them with those. As of yesterday, I filed my exempt papers with the state of Nebraska, and will arrange for tutoring, teaching, and enrichment for both children, in and out of my home. It wasn’t my first choice, but the schools and the state have made it clear that learning comes a distant second to attendance. So let us look one more time at that statement: “If a child is not in school, he is not learning.” The governor has said, in a personal and very kindly answered letter to me, that he “supports Senator Ashford (the author of Nebraska's new invasive school attendance law) and his efforts to end truancy.” End truancy? With these guerilla tactics and hard-line litigating of a problem that should be community work, rather than work paid to over-priced attorneys, I ask what they think the result will be? More truancy, I should imagine. But let’s give their argument its day in court, as it were. State and Federal officials are so fond of quoting statistics that show us lagging woefully behind all the other developed nations in Math and Science and basic Reading skills, and they repeatedly use these world-wide comparisons to keep the legislation rolling and the school-rooms stuffed. So, guided by these oft quoted statistics, let’s look at who in the world is doing well. And the winner is: Finland! rates a whopping first place in education, and blowing everyone out of the water in practically every category, has students who start formal schooling at age 6-7, and spend as little as 4 hours per day in schools. Listening? That’s 760 hours per year, compared to our State’s compulsory 1032 hours. But how can this be? I wonder why we never hear this portion of the statistics quoted by our Governor or Federal Education Secretary? 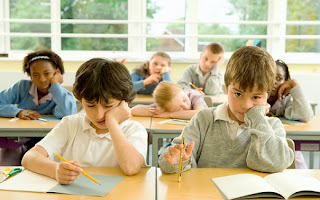 Asked about the excessive hours Asian students spend in school, Dr. Pasi Sahlberg, of Finland's Education Department told Justin Snider of the Hechinger Report (December 9, 2010): "There’s no evidence globally that doing more of the same [instructionally] will improve results. An equally relevant argument would be, let’s try to do less. Increasing time comes from the old industrial mindset. The important thing is ensuring school is a place where students can discover who they are and what they can do. It’s not about the amount of teaching and learning." And now you have a clue about what Nebraska's school attendance law and the other new policies on compulsory education truly might be about. They might be about pushing a broken and disproven education philosophy. They might be about funneling taxpayer money into the county attorney’s office and the juvenile justice system. They might be about social engineering and litigating away the problems of at-risk youth and their families. They might be about padding statistics and bureaucrats bolstering their own percentile accomplishment ratings. And they might be about passing laws to take away parent’s rights to guide their children’s lives and educations. But there is one thing they are certainly not about. They are not about educating children. Welcome to home schooling Ann. There are some serious issues with our education system in this State/country. As a teacher though i can tell you that we have students who skip school on a regular basis for no reason at all. Heck we have parents take their kids to the mall for a fun day out during the week, who then come in and yell at me because their child isn't learning. I do understand and I'm not saying the school was in any way right in their handling of you and your family, but you are the exception, not the norm. Our education system is failing and a lot of it starts at home. There is a reason why kids with caring, concerned, educated, hard working parents are doing better in school than most other students. Sorry, Anonymous. Although I understand the points you're making, unfortunately the way the Summers family was treated IS the new norm. The new norm in our public schools is that parents are not trusted and their authority is not respected. The state, OUR state, has legislated parents into a secondary role. Unfortunately, what happened to the Summers family is no longer the exception, it's the norm. @Anonymous - It is true that some parents don't prioritize school for their children, but it is dangerous and misleading to suggest that the majority of parents are incapable of acting in their own children's best interests. 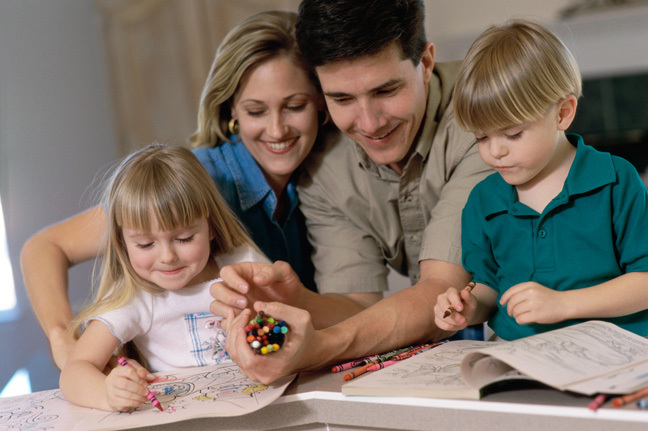 Parents raise their children holistically - taking into consideration many factors about what their children need every day. Sometimes that means choosing another opportunity over sitting in school for a day. No one agrees 100 percent about how others raise their children. That's because we are all different and value different things in different ways - and because no two lives are the same. Only parents care capable of knowing and deciding what is ultimately best. Thank goodness, too, because if we begin allow third parties to overrule our decisions as parents, then none of us will be free to raise our children without interference from government officials and other strangers who always believe they know better. So again - I agree some parents may opt to let their child go to the mall instead of to school, but THAT is the exception, not the other way around. If you were right, there would be little hope for society. What a horrible view of families! But the saddest thing of all is how all parents are criticized for the failures of the schools. It's nonsense, just as with parents who criticize the schools for not doing a job they, as parents, should lend a hand in. So whose fault is it? Why no one wants to point fingers at the school system that continues to fail so many children is beyond me. And who makes this system? Lawmakers, and we, the people. We have made this mess, and we have only ourselves to blame for it, and to look for to help in order to get our hinies out of a serious sling. Time to stop pointing fingers and do something.